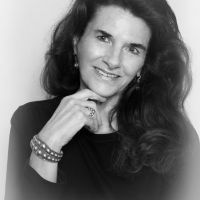 I'm a licensed counselor in Texas with 30 years in the areas of relationships/marriage, identification of core values, the six ways to identify partner compatibility, self-esteem/regaining self-empowerment, the different temperament types including Introversion, solution-focused brief therapy, success psychology, mindfulness practices, family organization in the home, resilience training, and more. I utilize Depth Psychology as well as Solution-based approaches, and when applicable, Dream Amplification. Many people find their dreams a source of guidance and a legitimate tool, especially with the help of a trained therapist in this area, especially during crises, arriving at a crossroads, and illness. While I am very interested in the source of a person's suffering, I look at what the person is doing now, at the present moment, which keeps the maladjusted responses in place. And we try to change that current pattern. I will try many things to help a client and, at some point, I do expect some change to occur, even if reflected in just a small, but pivotal step Change can sometimes happen remarkably quickly; other times it takes awhile, and patience is required. Most of us would agree that standing at that" fork in the road" too long can bring more depression and confusion than was bargained for. I would like to help you create the freedom which comes from carefully listening to yourself, understanding your feelings and styles of reacting, then taking the steps which feel comfortable to you to get you to a place of well-being and confidence.. Understanding and sorting out one's feelings and patterns of thinking can take some time, but it is well worth it, and it always makes a difference to have a non-judgmental and patient person on your side, until you can be non-judgmental and patient with yourself. From Dr. C.G. Jung: "My own understanding is the sole treasure I possess, and the greatest." Robin has been the greatest gift. She has supported and encouraged me through some of my most difficult times. She has an amazing way of guiding and making you want to do better for yourself - and she makes you realize you DESERVE to do better. Robin is a gifted analysts. I feel she genuinely listens & cares. Very competent, wise, experienced, and understanding. The amount of professionalism that Robin brings to the table is just amazing. She gives reasoning that makes me go "how’d she know?!" You know, that feeling that this person knows their skill so you just trust them. I love her. Robin has been incredibly insightful and available. She listens and gives good advice as well as guides appropriately. She has helped me process and get through a very difficult time in my life. Robin has been very helpful in helping me to better understand myself and my actions and has been great at helping me to overcome the problems I’m faced with, I have no doubt that my progress will continue to help me be the best me I can be. Robin is simply an exceptional professional and an incredible help. Robin messaged with me during a difficult time of my life and I found Robin’s knowledge, advice and empathy second to none. Robin was receptive to my messages and gave me exactly the kind of advice and information that I needed both to address my problems but also to feel comfortable to talk about them and positive about there being a solution. Robin’s realistic, pragmatic attitude that was equal parts caring and honest helped me understand my own thoughts, feelings, attitudes and opinions better and even in the shortest period of time I feel Robin has given me a massive mental health boost. Cannot thank you enough Robin! Over the past year I struggled a lot with my anxiety, so I decided to try BetterHelp. Robin was my counselor, and she is great! She helped me talk through and realize things I was struggling with. I feel much more grounded after our counseling sessions. I feel more positive and I'm excited to move forward in my life. Robin listens, and provides vaulable insight. Always responsive and actually takes an interest in your situation. She is great and has been helping me with the issues I have been dealing with and I am very happy. I love having Robin as a counselor. She is very thoughtful and checks on my if I don't write in a while. She also never judges me in a negative way. I appreciate that rather then judge my choices, she helps me she things in a new way. Robin's great. If you're lucky enough to work with her she's got a ton of experience and the best recommendations and advice a person could ask for. Can't recommend her enough. I feel a lot better knowing I can rely on Robin to help me make sense of things. Robin makes me feel comfortable enough to open up about the issues I am facing. She's not stuffy, like you would think when thinking of a counselor, and there's no pressure to discuss the issues in any form of contact I am not comfortable with. Robin is very timely with her responses, and doesn't just side with me when I explain an issue. Dr. Robin such an amazing, professional and has endless patience. She do her best all the time to make sure that her client gets the greatest value out of the session. I was so lucky to find a counsellor of similar age and I felt we were on the same wavelength. I felt respected and appreciated. She seems to be a woman it’s a lot of experience and life skills. Robin has really changed my life. I was out of control when I first started. I was dealing with many addictions. She kept introducing concepts that really worked. I applied them and the results were instant. My only challenges were not applying her strategies all the time. Now, all my addictions have been released from me. I have never felt more free. Thank you so so much! Robin understood my concerns and was there to help me understand my self more, she’s always on time and she’s very professional, she finds the perfect solutions and gives alternatives and she adapted to circumstances, she has a lot of experience and she could relate. I am happy with my sessions with her and I definitely recommend her. She has been very attentive with my concerns. She is supporting and helping me through them. I wish I reached out sooner. But it's never to late to take charge and make changes. Very satisfied with the support. Robin is a great listener. She is also an experienced counselor that shows care and concern for your needs. Robin was my absolute saviour during a very mentally abusive relationship, without her i almost certainly wouldn't have had the courage or motivation to leave. She is 100% supportive and always finds the time to reply no matter what day or time even though there is a time difference! She spoke to me as if i was a close friend rather than just another person who has their share of problems and am going to miss our little chats and her brilliant sense of humour. Robin is very knowledgeable and understanding. I felt very comfortable working with her and would recommend her to anyone seeking general life and relationship help. A great listener. I am very thankful for your help and understanding during my time of need. Would not hesitate to recommend to anyone needing a little support. I'm glad I met her and have her help me work through my problems. She’s been great at listening, her experience and Jungian background is helpful in endeavors like this, and she’s very timely with how she responds to you. Robin's advice and support have been invaluable to me. She helped me to identify and give voice to concerns and problems that I previously could not understand. It has made a HUGE difference to my mindset and to my day-to-day approach to problems and stress. I am very grateful to her. One session has been enough to change my negative image of counselors! Thank you. Robin is a fantastic counselor. I enjoy her straight forward approach and her diverse background. She knows when to be serious but also loves a good laugh. If you are looking for a diverse, unique, and knowledgeable counselor you should schedule a appointment with Robin. You will be in good hands. I have only started working with Dr. Campbell but in the short time she has helped me a lot. She is quick in responding to my messages and regularly checks up on me. She has listened to most of my issues and has really helped me through them. I really like talking to her and I feel like I can trust her which is extremely essential for me. Thank you Dr. Campbell for listening to me and helping me out. This has been my first experience with a counselor and I'm so happy I decided to reach out. Robin has helped me a lot. The tools and practices she has taught me to use will help me throughout my life. Thank you! Robin is absolutely great. I had to switch a counselor, and I am so happy that I found Robin after the other counselor. She gets me very well, always has a direct solution to the problem and says it concisely and to the point. She is very professional with a lot of expertise in relationships. Dr. Campbell is both knowledgable and compassionate. She addresses concerns and helps you to find solutions and tools quickly. She gives wonderful advice without sounding like she's reading out a book and without seeming condescending. She always asks questions to get to know me better and truly tailors her counseling to meet my needs. I am very impressed with how helpful working with Dr. Campbell has been. Although I only spent a short amount of time interacting with Robin, she has had a big impact on me. She really made me feel heard and understood, and she also gave me valuable insights to myself. Thanks again Robin! Robin is very kind but says what needs to be said. Robin is a great counsellor! She has really helped me with some issues, and this has worked really very quickly in my opinion. She supports me in my progress very well. Robin has been very helpful and responsive to my problems, for problems that I am and I am not aware of. She has helped me get through a difficult time in my life. She is patient, professional and makes me feel reliable to talk to and seek help from her. I would recommend her to anyone in need- I know how it feels to be anxious or depressed, but you don't have to suffer from that, just get help! Robin really helped me to think through a lot of issues. I really appreciated her understanding and she had insights about me that I couldn't have found out myself. She also responds in a timely manner. I would recommend her to anyone using BetterHelp. Robin has been a wonderful counselor. She truly understands the issues I'm facing and points me to the right direction in trying to resolve them. Often I find that my issues can be messy, but Robin is able to point me to the single thing that is the root of the problem. Robin has always been very responsive as well. I cannot recommend her enough! Robin is helping me through making a transition in my life. There are a lot of doubts and insecurities that come up in this phase, and she has been helping me get through them. I like that I can talk to her as the issues come up. Robin is really great. She asks direct questions, and listens closely to the answers. I feel that she is helping me think more clearly about my situation, and that I will find answers that way. So far it hasn't been very long that i've been working with Robin, however I have had a number of small issues that have built up over time and Robin has been very understanding and proved to be very helpful in coming over these issues. things have definitely been improving since I started working with her, including my personal relationship issues and some miner issues caused by my blindness / visually impairment conditions. Robin is a very curious minded person and always focuses on one topic at a time but seems to be very interested in whatever topic I have to say, which makes me feel more comfortable if i'm entirely honest because it feels more like a natural conversation with a friend, a supposed to other councilors I have had in my life where it's just questions after questions written in a book. Robin has proved to make a difference to all of my problems and is still proving to help today so I am convinced I have made the right decision to stick with her as my councillor and hope that her up-beat and possative, curious and caring personality doesn't fade any time soon. I look forward to a long trustful relationship with my counciler in helping me through difficult times and struggles. I would definitely recommend Robin to others that deal with similar or other issues to what I am, in fact I already have recommended BetterHelp in general to my best friend if he needs it. Thank you Robin for your help and trust. I found Robyn's support invaluable at a difficult time. I would highly recommend her to anyone having difficulties in their life or relationship. Dr. Robin is an amazing and intuitive therapist. She manages to get to the core of your issues through what could feel like an impersonal medium - the internet. With her support, I was able to analyze my issues and approach them in a new way. She's wonderful. Robin has been quite helpful in helping me understand and sort out my personal issues in depth. She has supported and guided me through my most critical mental moments & helped me find my center again. Her communication & delivery is exceptional and I never feel defensive. Thank you Robin for everything you have done for me, I truly appreciate you! Robin is a big help to my mental and emotional stability. She gives me strategies and is always there for me. Robin has been amazing. She is wise and also compassionate. She's my safe place in a turbulent time in my life. I'm so happy I have her guidance. BetterHelp and Robin gave me a chance that is not available in the boondocks. I was trapped both figuratively and literally. A desperate search for help landed me with BetterHelp and Robin. BetterHelp is a phenomenal organization. Don't even want to know where I would be without it. I don't have the words for Robin. She is so intelligent, interesting, colorful, fun and extraordinary. She is a guide, teacher, and explorer. Robin challenges me to extend my existence and experiences. Not only has she routed me out of a black hole, she has continued to be a huge support and has opened up the universe. Forever grateful for BetterHelp and Robin. Robin has helped me tremendously. Originally, I came for help in handling grief over the violent attack and subsequent death of my dog, in addition to stress over some financial issues. She has helped me better handle these things and is continuing to help me in other areas that are coming to light. Robin has been a tremendous help to me, getting me to do the work to really see what I need to address. She is responsive and very caring, and I recommend her unreservedly. She's very direct and to the point, but she listen -- which is the best thing. She is a great asset to my life always there for me and a big help when I need her. Robin is a patient, straight-forward and all around terrific counsellor. I have been working with her on and off for almost two years and she's been a voice of reason and comfort on my journey. Robin has been extremely helpful in helping me dig out what's going on in my life. She helps me realize that I don't need to be told what to do, but that I just have to look within myself for the answers. She listens and poses questions that help me figure it all out. Robin is helping me sort out my feeling and fears now that my marriage has become unhealthy. She is smart, succinct, patient and very effective. Robin has also been there when I need her most. She always replies to my messages promptly and methodically. She clearly has excellent skills at counseling because the points she makes and perspective she provides really works. I want to thank Robin for giving me strength when I need it most. I am very pleased with the help that Robin has given me. She has helped me see more clearly how to handle life's issues. Mainly, she keyed in on my innate creativity and showed me how to utilize that aspect of myself to live a more peaceful and balanced life. I am a work in progress, but she has helped me tremendously. Robin is great! I was hesitant at first but glad I gave her a chance :) Very grateful for her and this service. Super comforting, understanding, non-judgmental, and helpful. Robin has been great! She is helping me tremendously to understand things about myself to get through very difficult issues. I adore her. She's been awesome and I love having someone I can confide in cause LORD knows I need lots of help! Robin has been very helpful in helping me assess and address the state of my relationship, as well as giving me tools to overcome my difficulties in speaking up for myself and communicating concerns. Plus, she's incredibly easy to talk to and very conversational. I am grateful for her and highly recommend. Robin is great!! She understands how to use BetterHelp to get the most for her clients. She adapts to their style but keeps me accountable. She doesn't always tell me what I want to hear but what I NEED to hear. She is a sympathetic ear but also let's you know when things are wrong or abnormal. I look forward to feedback from Robin because it is incredibly insightful. It is amazing the BS we can feed ourselves because there is no one to correct our thoughts and behaviors. If you are going through a really hard time I highly recommend Robin! Robin is generally interested in you and that is wonderful. Robin has been an incredible help. Extremely supportive, honest, gentle and responsive. Robyn has been great and helped me uncover many things I never thought about. I am going to keep working on these. Robin is a very wise lady. I felt an ease while talking with Robin. She seems to understand me at a much deeper level. I could be open and clearly discuss what was really important to me. She gave an interesting perspective on my problems and made me realize the potential causes of my troubles. I was lucky to be assigned to Robin Campbell. She is responsive, and provides great guidance for one to reflect on regardless of what you may be dealing or struggling with. I am so grateful I found this site and Robin! Robin is a very nice and intelligent person. With her help I feel like I am finally making some positive changes in my life. Robin is awesome! She's super easy to talk to, sympathetic, but also gives clear and easy to follow instructions on how to deal with situations and make positive changes. I appreciate everything that Robin has said and done for me. She is amazing. She works very well with this technology and gently guides you on your path. She is extremely helpful when you reach a fork in the road to decide what is the best path for you. She is not critical of your decisions. She is very straightforward and caring. I would recommend Robin to anyone that wants guidance and insightful caring. Robin has been an incredible source of strength and courage through a very trying and difficult time. The format that BetterHelp provides, along with Robin's knowledge and caring, and obvious deep understanding of human emotion and struggle, have really given me a positive outlook. It's immensely helpful to utilize the mobile app, and/or my computer to communicate. It works well with my schedule. It feels like an on-demand service, and helps me capture and communicate things as they happen. It's like writing in a journal in a way as well, but with someone to help you reflect on the thoughts. I really appreciate all of the help and growth I have experienced with Robin's help. Robin Campbell was very helpful for me. She helped me to get out of the house and practically defeat my agoraphobia and to better cope with my anxiety. I recommend Robin to be YOUR counselor. She is very smart! Testimonials are too full of tired cliches and Robin is just so much more than I could ever give credit to in this way. Merci pour tout. Robin has been amazing. She has been there every time I have needed her, and still is. I mean 24/7. She is a straight-shooter, which is exactly what I need. She helped me to begin understanding things about myself that I was unaware of but was having a huge impact on my life. I am still seeing her and still working through some big issues. It's a bargain in exchange for having a healthy, happy mindset. Robin is fantastic, and she uses this format well to help me overcome moments as needed, and work toward personal development on my own time, when I'm in the right mind for it. She is patient and effective. Highly recommend. Robin was a wonderful counselor. She was gentle and caring and intelligent and would be sure to tell you when she was proud of you for having puzzle solved on your own. I felt very cared for by her and grew to understand through her gentleness that she had my best interests in mind, which is something I have struggled with in the past. Talking with Robin has really helped me regain my feeling of control. I felt desperately unable to talk with my family about how I felt very isolated from them. With Robin's guidance I feel I better understand why I feel isolated, and I also feel better equipped to deal with my interaction with them. Although we haven't been talking for very long, I feel a better sense of well-being and less anxious in my day to day life. She really opened my eyes when I was down. She gave me adice about myself so that I can be happy no matter what the outcome for me was. I am and will be forever grateful for the insight that Robin brought to my life and the world of relationships. She is prompt to respond and has the knowledge to guide you down the right path. Robin is caring, thoughtful, and provided me with a truly fruitful experience! She always brightens my days! Working with Robin has been extremely helpful. She has clarified many things for me, and has offered me a support system during a challenging transition. I am very grateful to her and to BetterHelp.com! Very knowledgeable and compassionate to what you are going through. She offers valuable resources and coping mechanisms. I truly believe she will help me overcome my fears and self made walls. Talking to Sheri made things better instantly. It's so much easier to divulge your problems online where you don't sit and wonder what your therapist is thinking. I have visited psychologists in person and there's always the discomfort of sharing your insecurities with a complete stranger and time constraints. Our online exchanges helped me to process what I was feeling and express myself in a full comprehensive manner. Sheri responds to every point in a kind thoughtful way. I've reached a stage where I don't need therapy but will still keep her updated because she's so supportive and uplifting. I've been working with Robin for several months, and I've really enjoyed our online conversations. She is very responsive in a timely manner, and she has been very perceptive in trying to understand and know me and the way my mind and heart work, even without face-to-face contact. Robin is foremost a good "listener"--her advice style is not heavy-handed, but rather a series of suggestions and questions to help me think about the different options for coping with my problems, be they big, existential ones or seemingly minor, pragmatic ones. I came to Robin with extreme stress as the primary caretaker of a parent with dementia, a grown son with special needs, and a strained relationship with my spouse, as well as trying to juggle all of these while building a career. Robin's counseling has helped me to find my inner strength (and resolve) to set boundaries more clearly, to take care of myself first, and to rethink some of my old patterns of interaction that were frustrating me and not bringing desired results. With her encouragement, I made some adjustments and felt more motivated and supported to attempt some changes, and I'm in a much better "place" now. So far Sheri-Robin has been very helpful, more helpful than I was previously expecting. I have taken her advice and will continue to work with her as the information and outside perspective is very helpful. Also she responds quickly and often. The way Robin approaches your issues is nothing short but amazing. I consider her as my life coach because she knows show much information about everything and all you have to do is let her know what is bothering you and what is going on in your life and she will find ways to ease the pain, give you a better look on things, and come up with a resolution. Great therapist and very thankful she's been there for me during the toughest part of my life. I was skeptical about online counseling but Sheri-Robin Campbell is the real deal. I felt a connection with her immediately, and within a week she had identified something in me that none of the many counselors I'd seen in the past had. It changed the way I think about myself and for the first time in years I'm feeling optimistic about my future. I really like that I can choose when I want to interact and I can get my thoughts down in an email rather than just talking and watching the clock. She responds promptly (within a few hours usually) and we have a nice back and forth communication. I'm so glad I took a chance with betterhelp.com, and I highly recommend Sheri-Robin Campbell. When I signed up with Betterhelp I honestly didn't know what to expect. I was worried it wouldn't work or I would get matched with a therapist that wouldn't i wouldn't work well with. I am so glad that I did sign up because I got matched with Sheri-Robin! She has truly been a godsend to me this past month! She has helped me to look at things in a totally different light which has helped me to work at improving my thoughts of myself and working at being the strong woman I know I can be! And with that step in the right direction I know I will be able achieve so much more in life and relationships on every level!! Thank you so much!! My work with Sheri-Robin Campbell has been astounding! I am ready to move forward in my life, full steam ahead!! I'm excited and thankful for all of her assistance in helping me to self discover, stand firm in decision making, and be open to what the universe has to open. Thank You so much Dr. Campbell! Ms. Campbell has provided invaluable insight and support in a time of great need. She responds frequently and with great care. I want to thank her for the continuing guidance and professionalism. Traditional counseling frustrated me because it was hard to remember everything I wanted to say and fit it into a 45 minute appointment. I like this writing based communication because it allows me to formulate my thoughts before sharing them. Plus I can write whenever I have time. Sheri-Robin Campbell is great at providing thoughtful, insightful responses in a timely manner. Her questions and humor make the sometimes unpleasant task of figuring out my "baggage" more palatable. Robin listens well and asks good questions. She held me accountable but was compassionate and talked me through some issues I asked for help with. I've been working with Robin for about a month now, and will gladly continue to be guided by her wisdom and guidance until I am ready to terminate therapy. She has a remarkable ability to see the bigger picture, while focusing on the subtle issues that need to be identified and explored in the therapy process. She is very respectful and understanding regarding my life situation. Robin gives excellent and accurate feedback, and asks relevant questions that push me deeper into the process. I recommend her highly. Robin has given me good advise and helped me analyze my troubles in ways where they suddenly don't feel so troublesome. I look forward to her insight and advise. Would you like to write a review for Robin Campbell? We'd appreciate if you can spend a couple of minutes to write a short review for Robin Campbell (M.Ed, LPC). This review would be shared with Robin Campbell. It may also be posted in our website or in Robin Campbell's profile but it would be anonymous and your identity would be kept completely confidential.